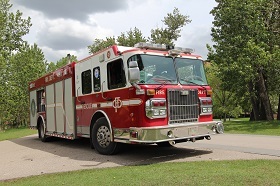 As the Chief of a local Volunteer Fire Department, attorney Paul A. Boronow understands many of the unique stresses and concerns of first responders, such as fire fighters, EMTS, paramedics, and the police. You work long, grueling hours that put considerable strain on your mind and body and you willingly put yourself in harm's way for the sake of others – to protect and serve, to provide for your family. When faced with difficulties in your personal life, such as divorce, child custody disputes, estate litigation or even criminal charges, let the Law Offices of Paul A. Boronow, PC, offer the support and guidance you need to make it through the challenges that lie ahead. No matter what the issue, we strongly believe in providing only compassionate, trustworthy service, especially to police officers, firefighters, emergency medical technicians, and union members, many of which are often first responders, as well. If you are in need of counsel regarding family law, criminal defense or estate litigation in Long Island, call (516) 227-5353 for a FREE consultation. Our team is here to help you find the answers and stability you deserve. We even offer discounted rates to first responders! You need a legal representative who can appreciate the full scope of the hard work you do and how much you stand to lose in the event of divorce, separation, or will contest. The Law Offices of Paul A. Boronow, PC will fight aggressively to protect you from unfair proposals and agreements that overstep your rights. First responders, law enforcement officers, EMTs, paramedics and other union members often face the constant risk of severe injury or death while on the job. Working under extreme physical and emotional demands can cause even the most experienced worker to develop emotional distress, depression, and anxiety. Unfortunately, work-related stress or past problems can also make you an easy target for baseless criminal accusations. Even worse, others may be quick to assume the worst about you due to misconceptions about those in your line of work. Don't let false accusations or an arrest ruin your reputation or your future. If you are facing criminal charges in Long Island, such as assault, domestic violence, drug crimes, traffic violations, or other offenses, contact the Law Offices of Paul A. Boronow, PC today for aggressive representation. You deserve to have a lawyer fighting on your behalf who understands how to confront and handle criminal charges against police officers, firefighters, other first responders, and union workers. The Law Offices of Paul A. Boronow, PC welcome the opportunity to work on behalf of first responders and union workers in Long Island, NY. Please do not hesitate to contact our firm to discuss your circumstances and find the best possible solution today. Long Island Lawyer Disclaimer: The legal information presented at this site should not be construed to be formal legal advice, nor the formation of a lawyer or attorney client relationship. Any results set forth herein are based upon the facts of that particular case and do not represent a promise or guarantee. Please contact an attorney for a consultation on your particular legal matter. This web site is not intended to solicit clients for matters outside of the state of New York.